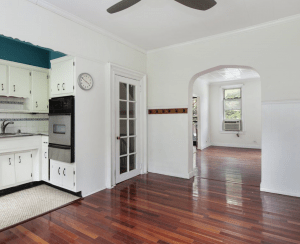 You just bought or rented a New York City apartment with private outdoor space? Congratulations—you are now officially the envy of 98 percent of city dwellers without outdoor space to call their own. If it's your first time having al fresco access all to yourself, you may have a few questions about what you can or cannot do with (and on) your enviable space. Below, some questions—and answers—on everything from grilling rights to furniture wrongs. Can I grill on my outdoor space? In New York City, grilling outdoors is an automatic no-no if your grill is within 10 feet of anything that could easily catch fire, including building walls, trees, wood deck surfaces, and furniture. (Fire-escape grilling is never allowed under any circumstances.) Plus, you must have access to a garden-type hose attached to a water supply or a four-gallon pail of water available when needed. From there, it depends on what type of fuel your barbecue uses: Natural gas grills are okay, but they have to be made for residential (not commercial) use. And gas lines need to be installed by a NYC-licensed master plumber. Cooking with a charcoal barbecue is legal on a terrace or in a backyard—but not on a balcony or roof. 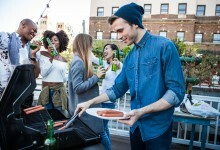 Electric grills are allowed (provided the 10-foot requirement mentioned above is met) in a NYC apartment building on balconies, terraces, roofs, or yards, as long as co-op or condo rules allow it. A Department of Buildings-licensed electrician should come in to make sure that your outlet can handle a grill. Propane grills are never allowed in apartment buildings or any "multiple dwelling" (aka apartment building), and the NYC Fuel Gas Code states that you can't store standard backyard propane on a balcony, roof deck, backyard, or in a courtyard. You can be slapped with fines of up to $10,000 or more if you don’t comply, although the law is mostly unenforced "because the fire department doesn’t have enough manpower to check every terrace," says Michael Wolfe, a property manager and president of Midboro Management. Still, don't do it. "You are more likely to run into trouble with your building for violating its rules on grilling," adds Wolfe. Smaller buildings are often more lenient, as are older buildings, versus larger new high-rises, he says. To minimize problems, more and more newer developments are installing communal grills on their roofdecks, he says. 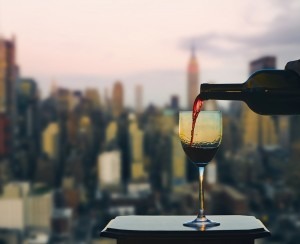 “The bottom line is don’t do it if you don’t meet the city’s guidelines, and if it's against your building's policies," warns Manhattan real estate attorney and blogger Ron Gitter. What kind of rules are involved when it comes to landscaping and irrigation? It depends on what kind of landscaping and gardening is involved. 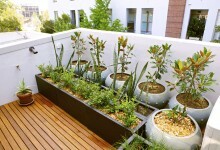 "Typically—and this is the case regardless of whether you live in a co-op, condo or rental—there are guidelines in terms of the types of landscaping you can have," explains Gitter. "This includes everything from the size of plants, the size of the holders and what they're to be made from, to the specific origin of the plants themselves and whether or not they have a lot of leaves or needles that are going to fall onto other people's spaces when it's raining or windy." Wolfe notes that the same applies to irrigation systems and hoses, as well as what they are attached to and whether or not there's a chance of leakage. "And," he adds, "regardless of the system you choose or the types of plants you want to have, it's always best to have prior board approval and submit a landscape ahead of time, particularly in the case of larger projects." What's the best way to childproof my outdoor space? Install some type of covering on all open surfaces of the railing so children can't climb through (plexiglass is popular). Never leave chairs, tables, or planters near the ledge where a child can climb up on them. Never allow young children outside unaccompanied by an adult. When an adult isn't present, keep the door leading out to the terrace locked. If there's a key, keep it hidden. What will my insurance cover if there's an accident? Jeff Schneider of Gotham Brokerage (FYI, a Brick sponsor) strongly advises anyone with outdoor space to have apartment insurance. These spaces "are typically covered under most third-party liability policies when it comes to things like accidents caused from barbecuing and furniture blowing off," he says. "As long as you can prove that the damage wasn't caused intentionally, then you can probably be covered even if somebody decides to sue." And, he adds, "if you are hosting paid events on your outdoor space, as opposed to personal parties, you'll want to purchase a separate event policy." What sort of furniture I should buy? "Apartments at corners of buildings, apartments on higher floors and apartments with less shelter from adjacent buildings can be exposed to significantly higher wind pressures than other parts of the building," says James LaTerza, a structural engineer at Marx|Okubo Associates. "All residents with balconies should consider taking in any loose furniture prior to wind storms, as they can present safety hazards to pedestrians and other residents if they are displaced by wind suction." Schneider adds that it's "better just to bring it indoors when not in use or certainly prior to a storm. Weights/bolts are also not a bad idea." Plus, he added, "if there is an incident, the owner of the items will be sued." As a general rule, you want to have heavier furniture and accessories that are not going to fly off the outdoor space. Other tips: Buy dark colored furniture that will not show dirt, and stay away from wicker (the real kind, not the artificial all-weather kind) because it can get bug-infested. And be forewarned that wood furniture can be high maintenance. "People love wood outdoor furniture, but because it's organic material, it breaks down over time," says Todd Haiman of Todd Haiman Landscape Design. "You also have to oil it to protect it, and very few people actually do it." Bed, Bath & Beyond: These megastores are eveywhere, and have various styles of chairs and tables, many of which are inexpensively priced. Home Depot: From outdoor furniture and plants to grills, Home Depot offers a wide selection at good prices, plus home delivery and installation is available. Home Goods: It's all about the accessories here. It's the TJ Maxx of home good stores, so expect designer stuff for much less. Ikea: It's hard to beat the prices and design aesthetic of Ikea. Restoration Hardware: On the higher end, Restoration Hardware offers lots of sleek and modern lines to choose from when it comes to outdoor furniture. Web-only options Check out patiocollection.com, fermob.com, wayfair.com, todayspatio.com and overstock.com. And for flowers and plants, we suggest windowbox.com. If you prefer to do your shopping in person, the Flower District in Chelsea is a treasure trove (for both real and very realistic looking artificial plants). ***This post was updated on June 1, 2017. 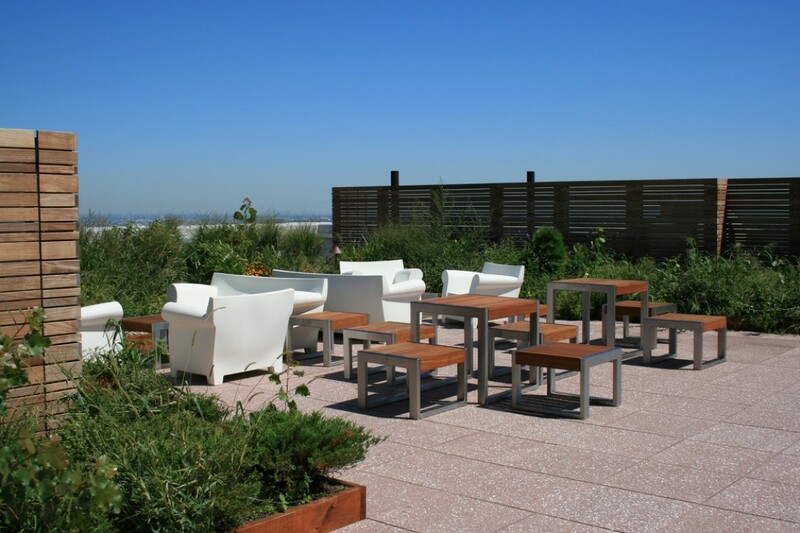 Is it okay to put a common roof deck near a private terrace?